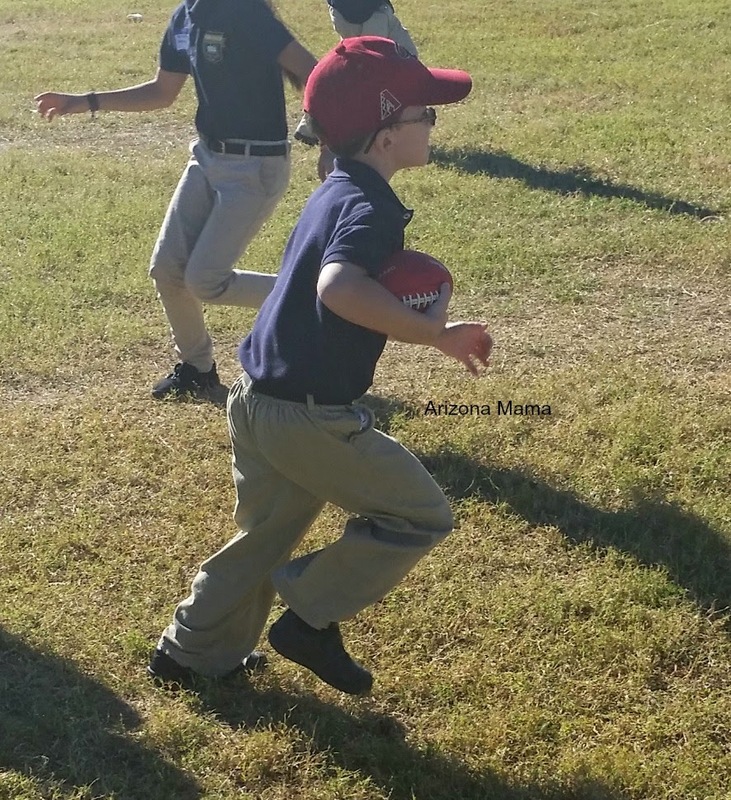 Jayden school requires a uniform. I know that many schools do. Jayden's uniform is very particular from head to toe. There is a specific for everything. They even have a designated style for shoes. His shoes must be a solid black, brown, or white. They need to be sports or tennis shoe style for PE class, which is 4 days a week. You'd be surprised how hard it can be to find solid colored shoes. We prefer to get him black to keep them from looking real dirty. So we are limited in finding shows that fit the school criteria, Jayden's size, and of course comfort. Many times comfort is last on the list since they have to fit and they have to fit school needs. Recently we received a pair of Pediped shoes and added comfort back for Jayden. 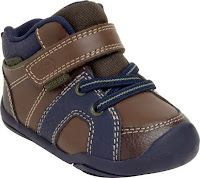 I must admit I have heard lots of great things about Pediped shoes, but never tried them before. I was very happy to get the chance to try a pair. Pediped are made with premium grade non-toxic materials. They have foam insoles and cushions that provide a comfortable fit while the padded heals absorb the shock. 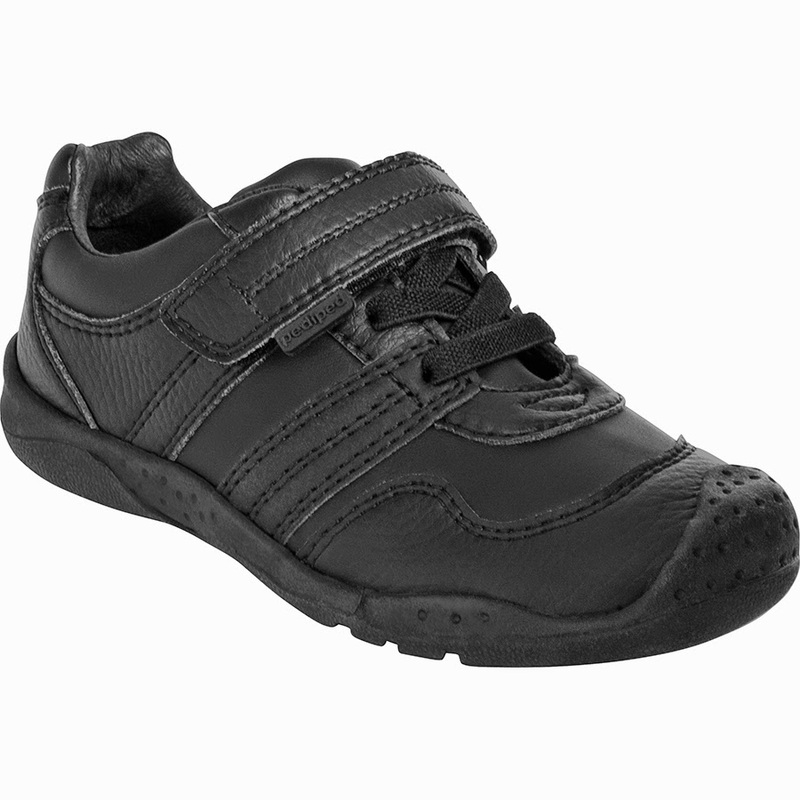 Every pair of Pediped shoes are specifically engineered to promote healthy foot development. They have over 130 styles in newborn to youth size 4.5. Pediped has 3 different styles of shoes, originals, grip 'n' go, and flex. 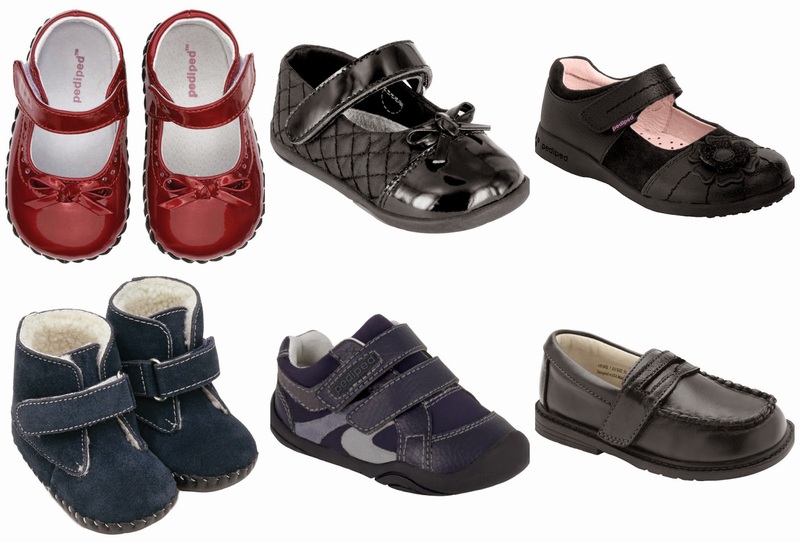 Each style is specially made for certain ages to fit and promote healthy foot development. We received a pair of the Flex shoes for Jayden. We received the Channing Black. These shoes are perfect for school. They are easily used for dressing up or for everyday use. They are made with genuine leather upper and breathable leather lining. They have a flexible rubber sole. They have a faux lace and Velcro closure. They are approved by the American Podiatric Medical Association for promoting healthy foot development. The shoes came with a pair of flex fit insoles. They can be used to help accommodate different types of children's feet. You add them to the shoes for a tighter fit and remove as your child's feet get bigger. This can also help the shoes last longer. Jayden immediately wanted to try these shoes on. He told me they are very comfortable. He wears them everyday to school and even sometimes on the weekend. The material is soft and flexible making for a comfortable fit. Jayden says he can run faster in these shoes. I really like that they fit well and look great for school. Pediped has many great styles that are perfect for the holidays. If your in need of cute shoes for those family photos or holiday parties check out all they have at Pedipeds. Win it: One (1) Arizona Mama reader will win a pair of Original Pediped shoes in their choice of gender and size (sponsor will pick the style). Thank you to Pediped for sponsoring this review & giveaway. I like the Grip 'n' Go Jasper - Fuchsia. I like the Riddel in Navy. I love the girl's Maggie Boot - Gingersnap, so cute! I like the machine washable ones. My son gets his shoes so dirty but they never come out of the washer in good shape. I love their Mary Jane shoes. 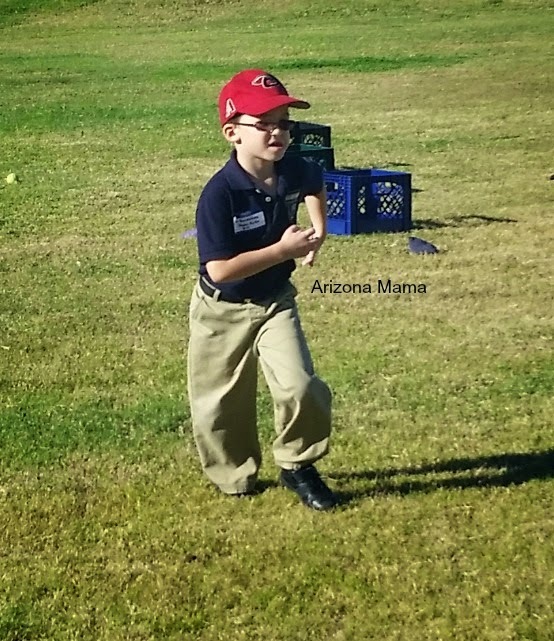 I like the Flex Cruz in navy for my toddler boy! I love the entire grip n go line! Everything is so cute. I love their shoes - and especially the Dallas shoe in charcoal! they are the closest to walking barefoot. I love that for my child!! I love that they carry a wide variety of shoes! Perfect for our newest little peanut as well as our big-footed 7 year old! He loves his Pedipeds! Free blanket with $100 purchase. I didn't know they sold things other then shoes. i like the Originals Channing - Navy, so cute. Love the Flex Daniel in Black shoes for boys. I like that it is made with premium, non toxic materials. I like the Justin boots in Charcoal. Very stylish and made of genuine leather. I like the Isabella shoes. My little ones love their pediped shoes. I would love the Originals Delaney - Lavender for my youngest daughter. I love the Mary Janes! So cute!! I like the Beck shoe in Black for my daughter. I learned that the cold weather boots are waterproof. They have a great sale going on now :) I didn't know that! I love that they give back to schools and they offer a large variety of sizes. I like that they carry both classic and on-trend options. 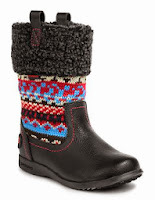 I like the Flex Kacie Boot in Black. I love the Flex Naomi boot.